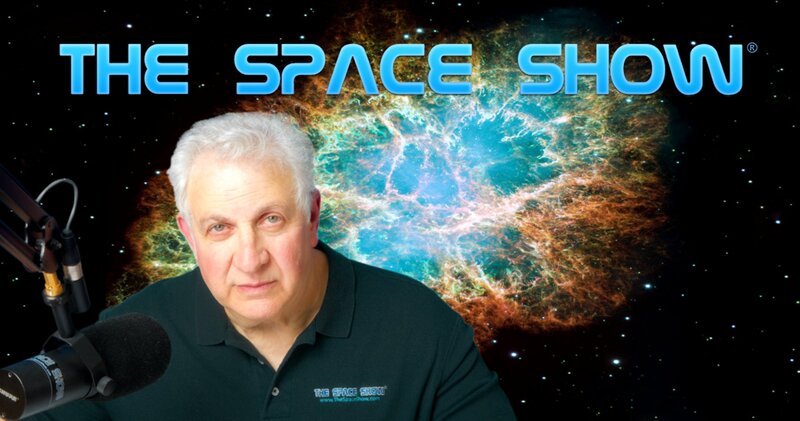 We welcomed Dr. Bob Zubrin back to the show for a one segment 88 minute wide ranging discussion starting with a description of the upcoming Mars Society Convention in Pasadena, CA from August 23-26. Follow along with Bob as he talks about the conference at www.marssociety.org. In addition, you can still register for the conference through the website as well as make your hotel reservations. Also note that Bob said the conference would be live streamed this year. In addition, I need to point out that about 25 minutes into our discussion we lost the phone line with Bob. We were able to restore it but we then had some audio difficulties with some of the remaining discussion. 100% of our discussion has been uploaded and archived but I wanted to give you a heads up regarding the phone and audio issues that showed up early in the program. One last item to bring to your attention involving the length of the program. Initially, Dr. Zubrin was going to be with us for the one hour version of the show. Due to getting multiple phone calls and listener emails, Bob stayed with us for a full length Space Show program without a break. As pointed out above, Bob started the discussion by talking about planned highlights for the Mars Society Conference. He addressed many of the keynote and plenary speakers along with panel discussions. All of these are listed on the program for the conference which is at http://www.marssociety.org/conventions/2018. After describing key convention programming and topics, I presented Bob with a listener email from Paul regarding what appears to be forthcoming changes in planetary protection policy which may negatively impact human spaceflight to Mars. Bob had a lot to say about planetary protection, contamination, human exploration on Mars, risk taking, backwards contamination of Earth from Mars, sample returns, NASA attitudes, the private sector and especially Elon Musk and more. Our discussion stemming from Paul's planetary protection question was lengthy and comprehensive. Bob held nothing back so you do not want to miss what he had to say. Bob frequently referred to LOP-G as the Lunar Orbit Toll Booth during an extensive discussion about going to the Moon and preferring not to go to orbit around the Moon. Our guest pointed out the problems with LOP-G which you will hear him explain in detail. Economics were involved in the discussion as were mission costs and even what it would mean for using LOP-G as a launching station for missions to Mars. Bob also brought in the capabilities of new rockets coming on line or already here such as the Falcon Heavy, plus the work already started by SpaceX on the BFR. You do not want to miss what Bob had to say about going to the surface of the Moon, not to an orbiting space station around the Moon. By the way, he said the best place for a space station was in Earth orbit, not the Moon. Listener Tim called from Huntsville to share his ideas with us as to why NASA and others want LOP-G for government spending in their district rather than making sure government spending in their districts went for useful and constructive projects and products. Bob agree with Tim but added to what he had to say using lunar propellant as an example. I asked Bob what our TRL was for humans going to Mars today. Bob said that from a technical perspective, we are more capable today than when we went to the Moon. Some of the challenges he pointed out might include SpaceX getting surface nuclear power on Mars. Somehow we got back to the Lunar Orbiting Toll Booth (Bob's name for LOP-G) as Bob talked about the delta V for a SEP rocket going to Mars from the Toll Booth at 7 km/s as compared to a conventional chemical rocket making the same trip at 1 km/second. Again, listen to all of what Dr. Zubrin had to say on this and related topics. John in Ft. Worth called to talk LOP-G. Bob's question for supporters of LOP-G was to ask them if they could afford it, would they spent their own money for LOP-G. Bob asked this of John so listen carefully for the answer. During the conversation with John, Bob compared what SpaceX and Musk were doing with NASA. Also their timelines. BJohn sent in a question about the rumored Russian nuclear powered cruise missile wanting to know if would soon be powering spaceships to Mars. Bob did not have too much to say on that subject. As we were nearing the end of our program, I asked Bob about terraforming Mars and the recent paper by Dr. Jakosky of the Univ. of Colorado indicating insufficient CO2 on Mars for terraforming. This was widely reported so you can easily find news stories on the subject. Bob provided us with a good analysis of why the paper and Dr. Jakosky' s work was wrong. Our discussion focused on the quantity of CO2 on Mars, in the rocks or in the regolith. It was a detailed discussion so don't miss it. Also, Dr. Jakosky will be talking about his paper on The Space Show on Sept. 9th. I will be using much of what Bob said on this show in that interview. Marshall called next to talk about nuclear fusion which Bob had mentioned several times during our discussion. Marshal went after the European ITER and Bob added to his comments with more detailed information. Bob talked about a potential commercial fusion industry from the fusion start-ups that are raising lots of money. Don't miss our fusion discussion. Before we ended the program, Bob was asked about his Dipole Drive concept that he recently wrote about in Centauri Dreams. Bob was unable to say much because of various proposals in the work though he did mention a possible future cubesat demo for this form of propulsion. Please post your comments/questions for Bob on TSS blog for this show. You can reach Dr. Zubrin through me or the Mars Society.